UPDATE: The second suspect has been identified as Michael Frederick Powell, 21, of the unit-block of Helmsman Court, 21221. Powell has been charged with armed carjacking, two counts of armed robbery, use of a firearm in a crime of violence, two counts of first-degree assault, and theft. 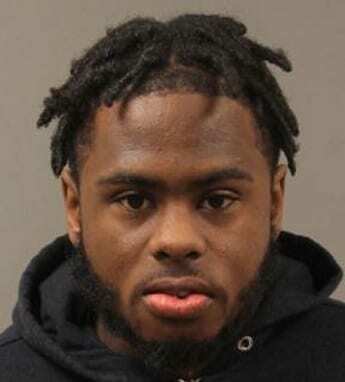 He is currently being held at the Baltimore County Department of Corrections on denied bail status. Police in Baltimore County have arrested two men in connection with an armed carjacking in Essex. At just before 8 p.m. on Sunday, November 12, officers responded to the 1200 block of Handsworth Place for an armed carjacking. Police learned that a man and woman had parked their car in front of their apartment complex on Handsworth Place (21221). The victims said that two suspects, possibly a third suspect, came up to their car and threatened both of them with handguns. The suspects told the victims to get out of the car. The victims begged to be able to remove their infant son from the car. The suspects did allow the victims to remove their child and groceries, then stole the car and fled from the scene. A responding officer saw the stolen car on MD Route 702 near Old Eastern Avenue. The officer was able to coordinate with the aviation unit to follow the stolen car. The car struck another vehicle on the road in the area of Philadelphia Road and Golden Ring Road in Rosedale (21237). Shortly after the collision, the suspects jumped out of the stolen car and ran from police. The officers were able to take both suspects into custody. One of the suspects injured himself while running from police. The man was taken to a local hospital for treatment. That suspect’s identity will be released once he has formally been charged. 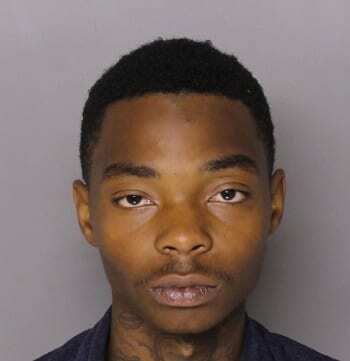 The second suspect was identified as Marquis Shaquan Mitchell, 20, of Daybreak Terrace, 21206. Mitchell has been charged with carjacking, two counts of armed robbery, use of a firearm in the commission of a crime of violence, two counts of first-degree assault, resisting arrest, and theft. He is currently being held at the Baltimore County Department of Corrections on a denied bail status. Police did not find any evidence indicating that a third suspect may have been involved in this crime.